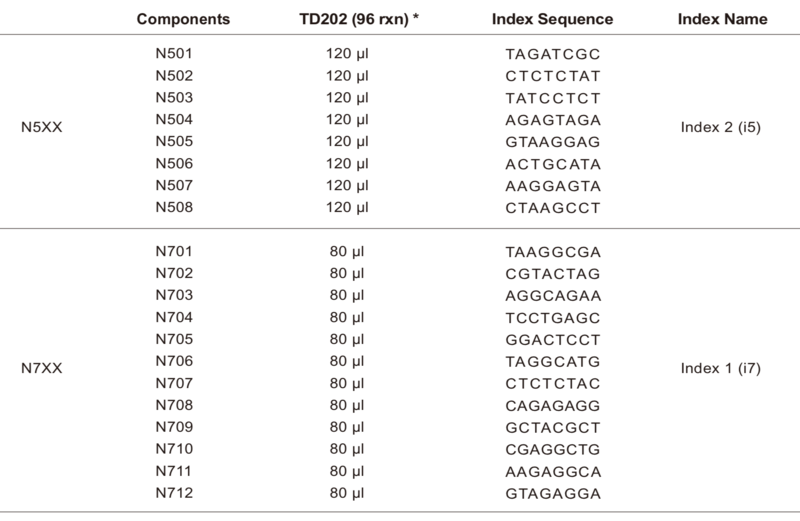 The TruePrep Index Kit V2 for Illumina® (Vazyme, #TD202) is specially designed for TruePrep DNA Library Prep Kit V2 for Illumina® (Vazyme, #TD501, #TD502, #TD503). It contains 8 different N5XX and 12 different of N7XX adapters, providing total of 96 different dual-index combinations. Quality Controlled and Functionally Validated. All components should be Store at -20°C. May be transported at 4°C. Click the button below to add the TruePrep Index Kit V2 for Illumina® | TD202 to your wish list.